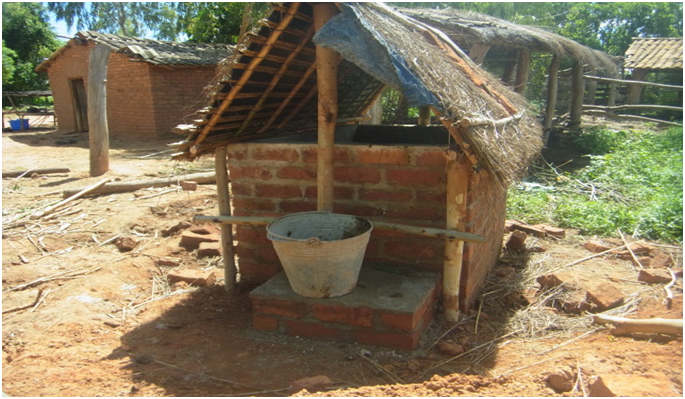 Rhollent Kumwenda has recently completed his biogas digester in the project area Ekwendeni, Mzimba North. 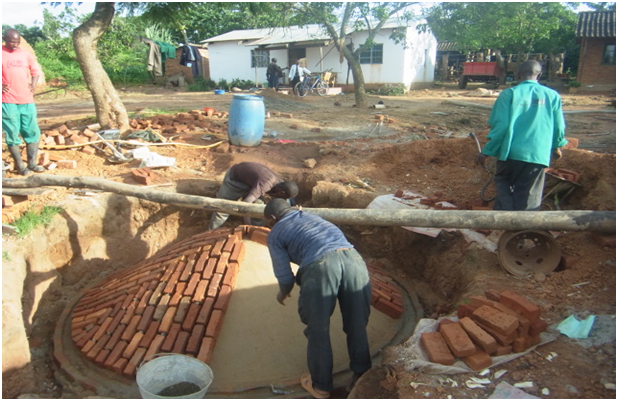 The project is seperate from the Mzuzu biogas projects but follows a similar design and construction process. This biogas digester has been completed and dung feedstock has now been added. The final touches involved making a final layer of concrete inside the digester (shown above) as well as building a small storage building for when there is excess dung (below). Dung overflow house, for when there is no space for dung in the digester. The final part of construction is the brick roof which is neatly constructed using local bricks and imported cement. Once complete is can be buried with only the gas feed pipe showing above the ground. 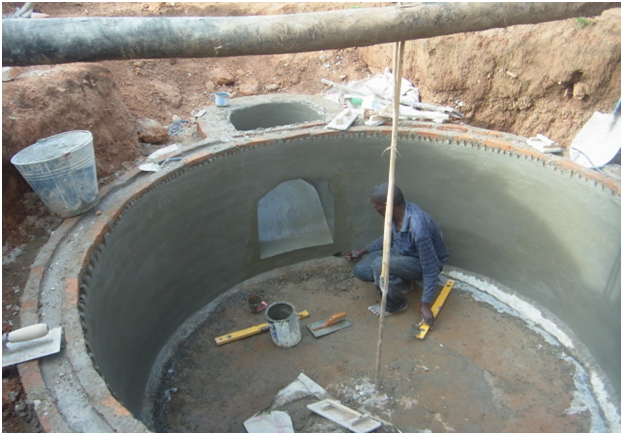 These pictures show the feedstock being prepared for a REEF bio-digester in Malawi, similar to the Mzuni Biogas projects (see article). Cow dung is collected from nearby cow sheds and mixed with water and other admixtures to provide the correct consistency for biogas production. Once inside the digester the feedstock begins decomposing, which releases methane gas. This gas is collected in the dome of the digester and can be siphoned off as and when required for cooking and other purposes.